Dorrie Nutt has been actively involved with Huntsville’s musical community since 1981. She performs with the Huntsville Symphony, the Brass Band of Huntsville, the Redstone Brass, and the UAH Faculty Brass Trio. 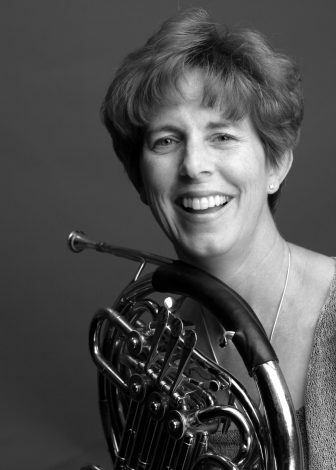 Ms. Nutt teaches horn, theory and chamber music at the University of Alabama in Huntsville and maintains an active private studio of young students through adults. She attended Auburn University, and graduated with Bachelor’s and Master’s degrees in Music Performance. She is married to Jerry, an engineer who just started a new career as Development Director for the HSO. They have two grown children living in New York City and Houston TX.